This is the final mask and the penultimate post from my Montagne Jeunesse Skin Heroes series. This review will be about the Dry Skin Mask. The Dry Skin Mask is the one I was most looking forward to trying as I prefer a more moisturising mask. Having said that though, when trying the ones more targeted at oily skin/breakouts I've found they were really good for my skin. I had often assumed those kind of masks would be drying but they totally aren't. 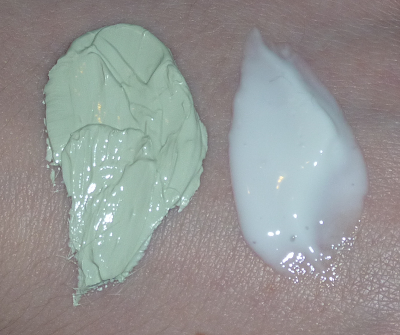 As with the other masks, this one has two stages, with stage two being a serum rather than a moisturiser this time. 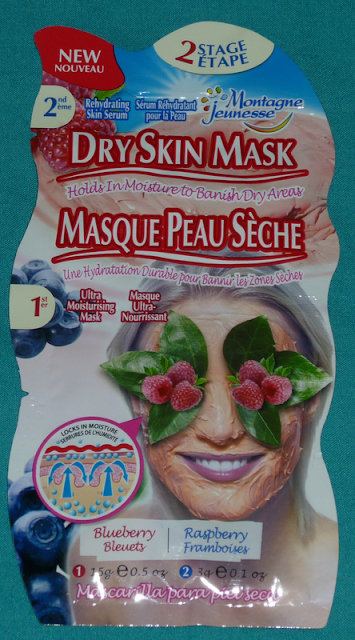 The packaging states that the Dry Skin Mask "holds in moisture to banish dry skin areas". Firstly, submerge skin in this creamy soufflé & let the super fruits explode into action. Raspberries, Blueberries & Red Grapes are high in anti-oxidants that protect & replenish. The mask is a pale pink, pearlescent cream. The consistency is like a thick facial moisturiser. I expected it to smell quite fruity with it containing raspberries, blueberries and red grapes but it's actually more on the floral side. It's definitely a pleasant scent and my fiancé kept sniffing my face! After 15 to 20 minutes on the face, the mask slightly dries on the face but it's not like the masks that make the skin feel really tight. My skin was left clean and moisturised on removal of the mask. Secondly, rehydrate with this follow on serum of crushed Blueberries & pulped Raspberries, an anti-oxidant frenzy. Natural KiOsmetine® is clinically proven to make skin smoother. 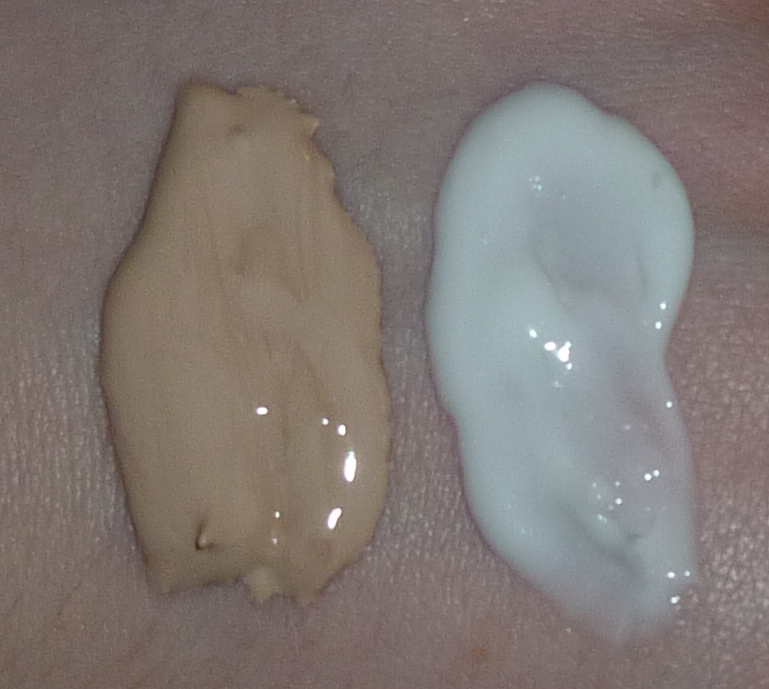 The serum is a white lotion, not dissimilar to the moisturisers from the other masks in consistency. The scent was a lighter version of the mask's fragrance. The serum sank into my skin quickly and left it feeling so soft, like velvet! I've really enjoyed using the masks from the Skin Heroes series and I would recommend them all. Montagne Jeunesse use natural ingredients wherever possible so if you read the back of the packet you will be able to understand what's in the product! If you fancy trying this range it's available from Asda and the Montagne Jeunesse website . 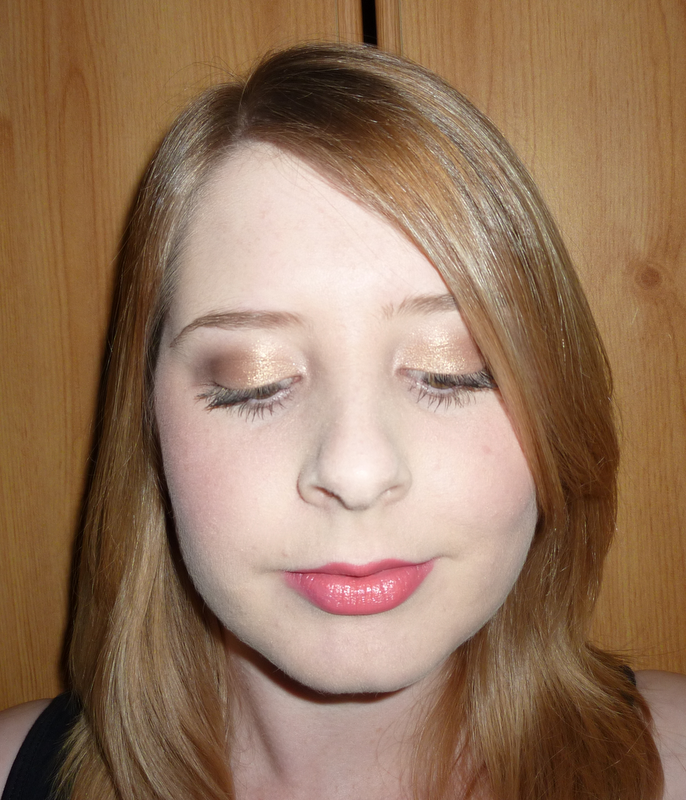 Here we have Part 3 of my Montagne Jeunesse Skin Heroes Series. 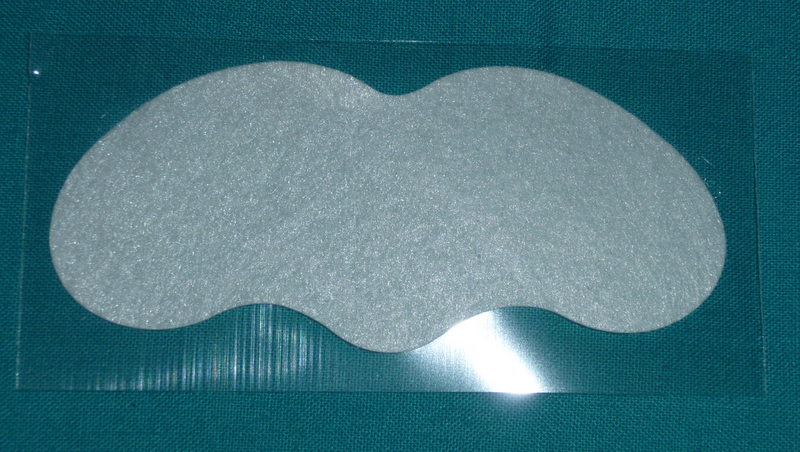 This post features the Shine Control mask. 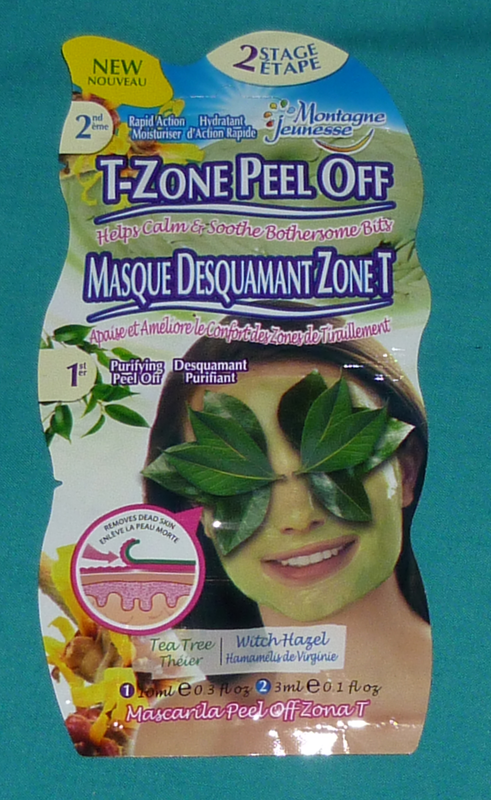 Please also check out Part 1 - Break-Out Mask and Part 2 - T-Zone Peel Off. 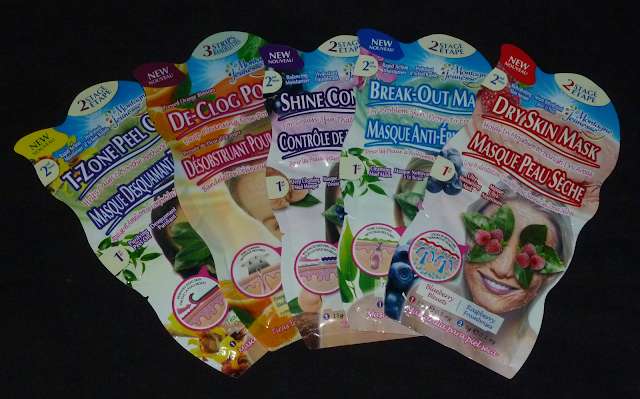 I've really been enjoying these masks so far and have found my skin is in much better condition. They are helping to even out my skin tone, especially on my chin where I often have scars left from spots! Another great point about these masks and the rest of the Montagne Jeunesse range is that they are suitable for vegetarians and the brand always look to use natural ingredients. 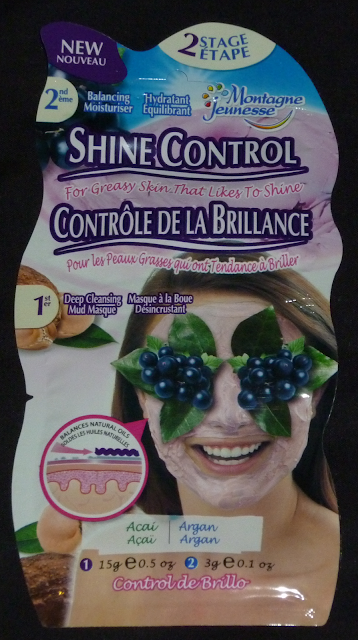 The Shine Control mask is for "greasy skin that likes to shine". This mask, like the first two shown on my blog, has two stages - a mask and a moisturiser. 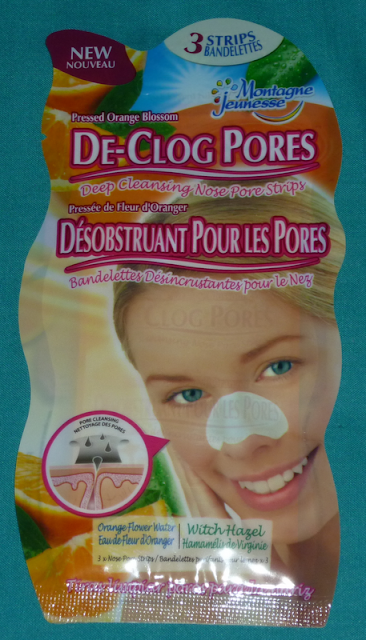 Firstly, deep cleanse with this special mud mask. 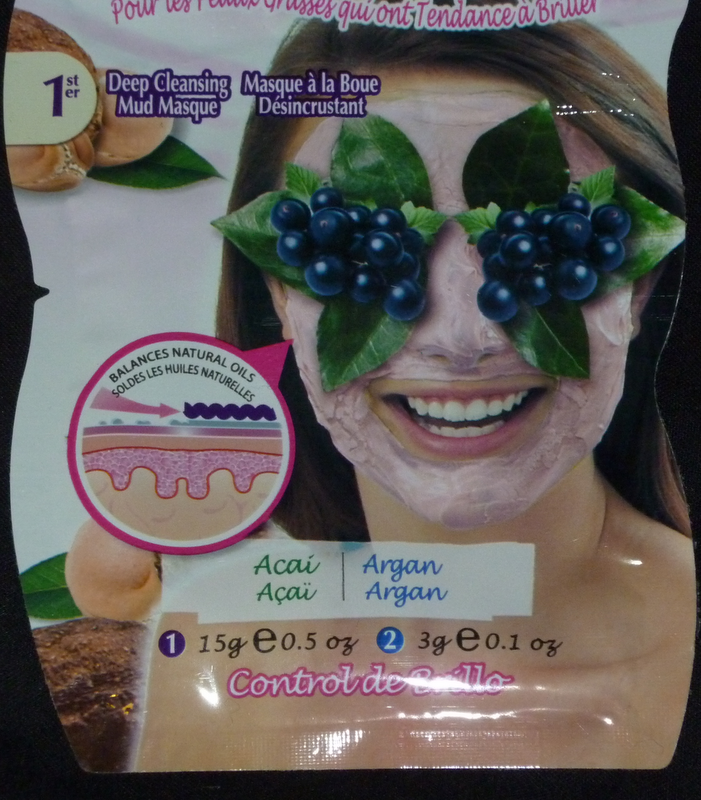 We’ve added Argan Oil to help balance oily areas & crushed Acai Berries - a powerful anti-oxidant that helps protect. This is a smooth creamy mask that looks a bit like foundation! I couldn't quite put my finger on the scent of the mask so maybe that's the Argan Oil as I'm not sure what that smells like! The mask dries and tightens the skin over 15 to 20 minutes until it's ready to wash off. Upon washing the mask off my skin was left feeling clean and soft. Secondly, balance your skin with this moisturiser of crushed Acai Berries & light reflecting particles to help control shine. KiOsmetine® & Argan Oil help restore skins balance. 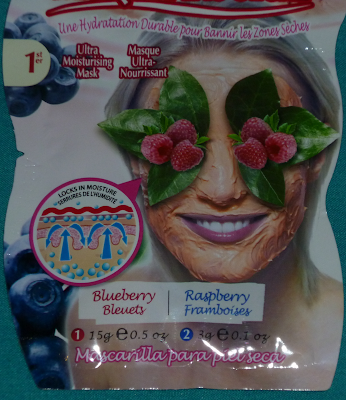 This mask along with the rest of the Skin Heroes range is available now from Asda and the Montagne Jeunesse website. 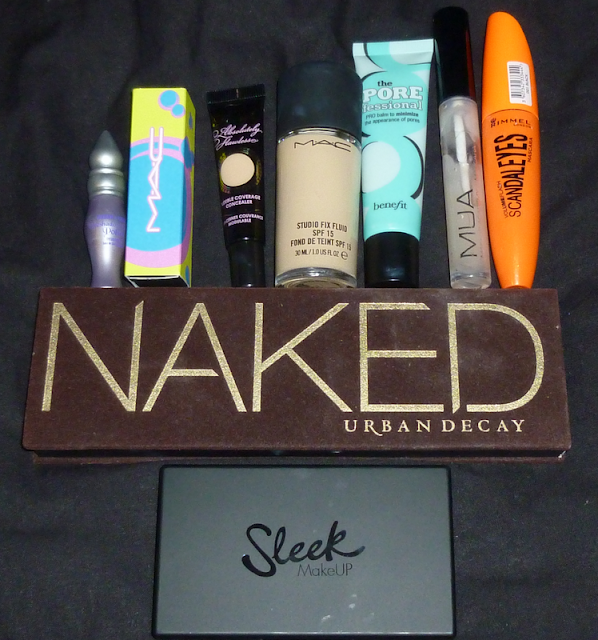 I thought I'd post a FOTD featuring the original Urban Decay Naked palette and MAC Watch Me Simmer from the MAC Cook collection - hence the name of this post ;) I guess if you came here from a Google search this may not be what you were after... hehe. 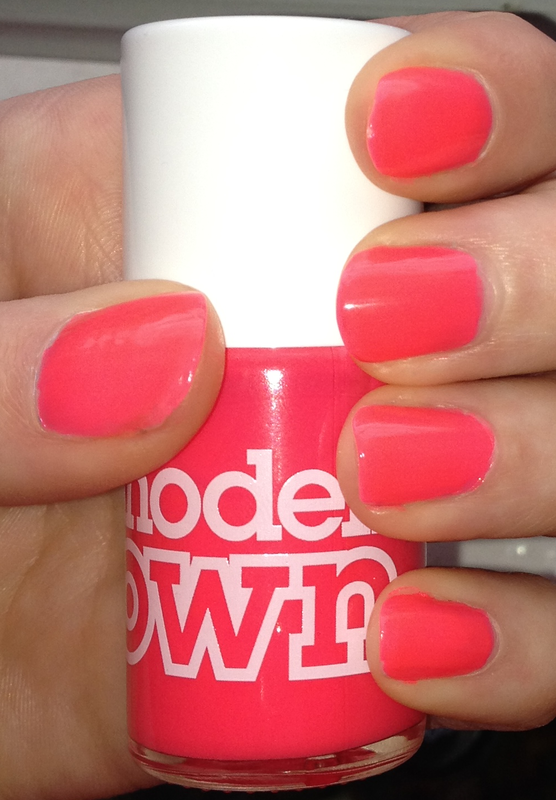 I've just painted my nails in Models Own Pink Punch so I thought I'd pop a photo of it on my blog. 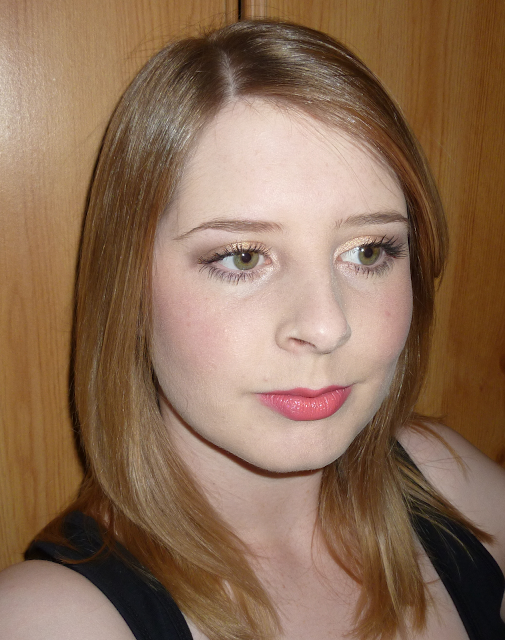 It's a lovely bright colour that is perfect for the summer. My camera has dulled down the colour slightly but it's a neon pink, like the colour of a highlighter pen! 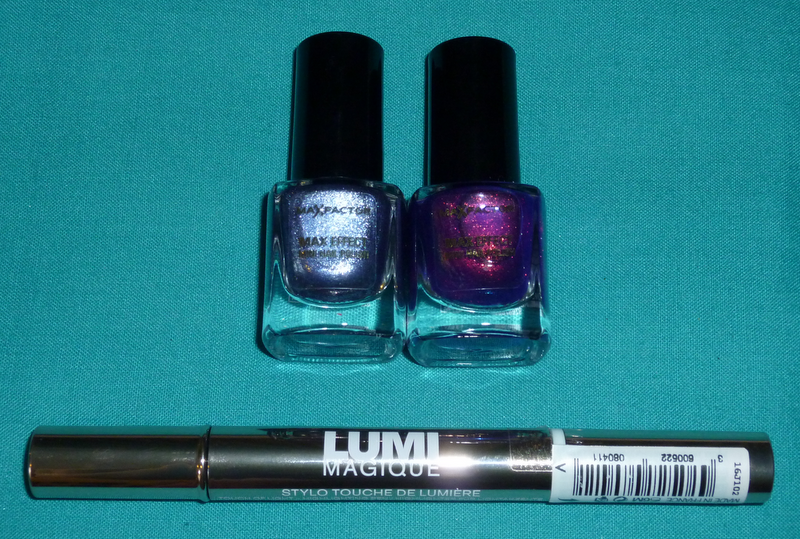 I used two coats but I'd recommend 3 coats for a completely opaque finish. I love Models Own nail polish as it glides on so smoothly and dries pretty fast. What colours have you been wearing on your nails at the moment? I'm loving the look of the Essie Resort Collection but I don't think I should be splashing out on more nail polishes! Here's Part 2 of 5 in my Montagne Jeunesse Skin Heroes series. 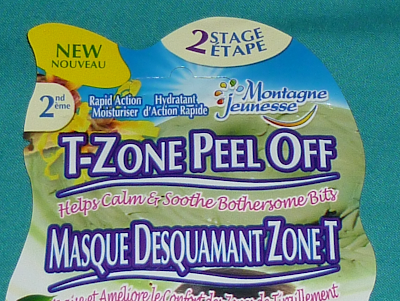 Today I'm reviewing the T-Zone Peel Off mask. To read Part 1 featuring the Break-Out Mask click here. 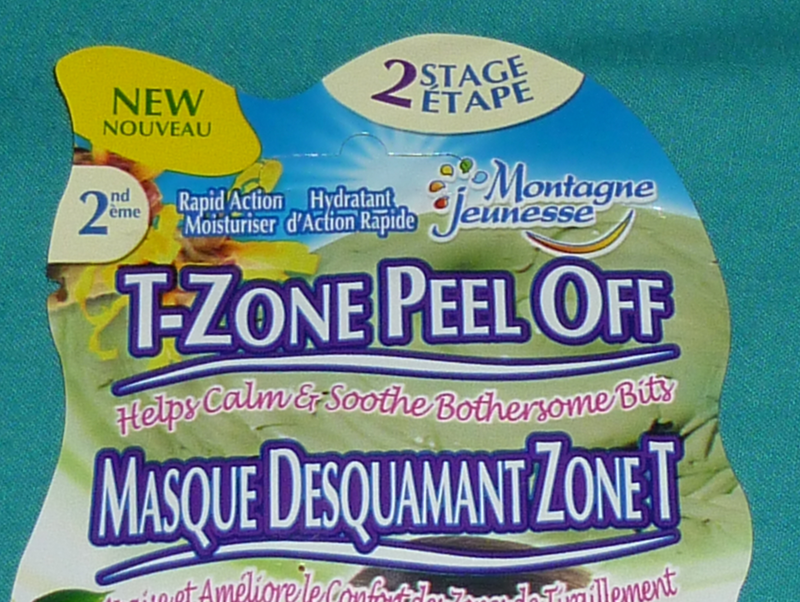 The T-Zone Peel Off mask "helps calm & soothe bothersome bits". I thought this would be a nice little detox for my skin after all of the junk food I seem to have consumed lately! Firstly, get into the zone with this peel-off. Calming Tea Tree & soothing Canadian Willowherb™ will grab dirt & help clear impurities. Witch Hazel helps target problem areas. The mask is a thick green gel that smells mostly of tea tree but has a hint of mint in there too. The mask feels cooling and tingly on the skin. I bet this would be a real treat to use when the weather gets warmer again. This mask dries on the skin leaving your skin feeling tight and looking shiny. To remove the mask you simply peel it off. I do find it slightly weird watching myself in the mirror while I'm peeling the mask off but it doesn't bother me too much. I know some people love peeling these masks off! I have to say, I was blown away by the softness of my skin after removing the mask, it was actually baby soft! 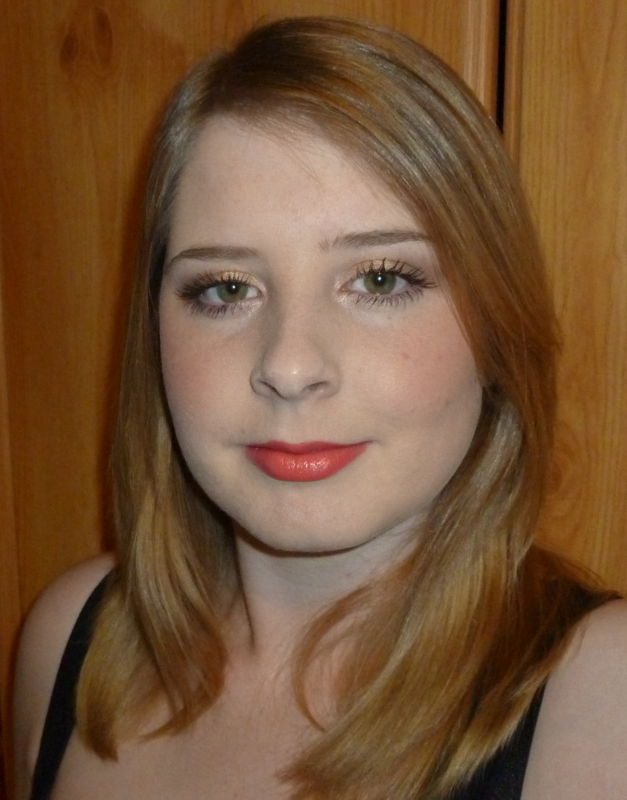 The texture of my skin looked really smooth as well so I was definitely pleased about that. Secondly, soothe skin with this follow on moisturiser & help ease those bothersome bits with the natural healing of Canadian Willowherb™ & Tea Tree to help calm skin to the core. I think this is the same moisturiser from the Break-Out Mask. It certainly has the same consistency and minty scent anyway. After applying the moisturiser my skin felt perfectly hydrated and clean. I enjoyed using this mask and I'm really happy with the results. 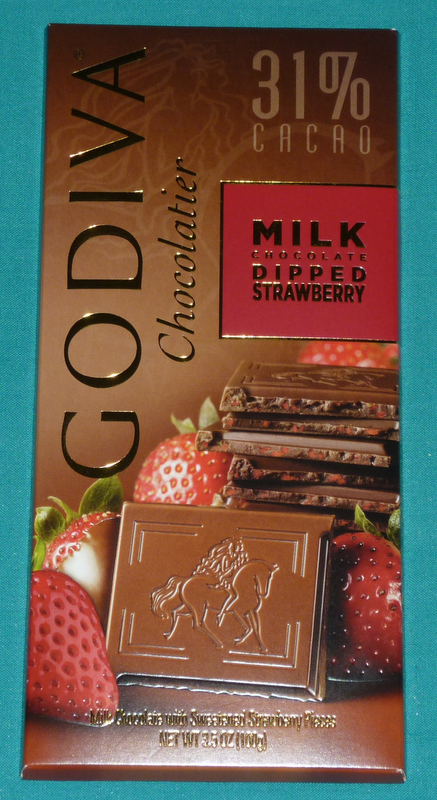 At £1.49 it's the perfect weekly treat without breaking the bank. You can pick this mask up from Asda or from the Montagne Jeunesse website. Montagne Jeunesse always look to use natural ingredients and all of their products are suitable for vegetarians. Hope you are all having a lovely Easter so far, I'm loving the long weekend! 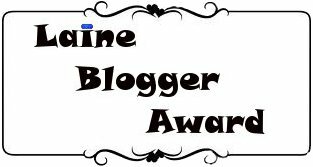 The lovely Becca from Back For Tea has awarded me the Laine Blogger Award! I love Becca's blog as she has a good variety of posts from beauty and fashion to general photos of what she has been up to. I'm also rather jealous of the fact that she works at Lush, how great would that be?! You should definitely check out Becca's blog if you don't already follow her. Unfortunately she's not feeling too great at the moment so I'm sure she would appreciate some blog love :) Get well soon Becca! Please check out these blogs as I'm sure you will enjoy reading them much as I do. 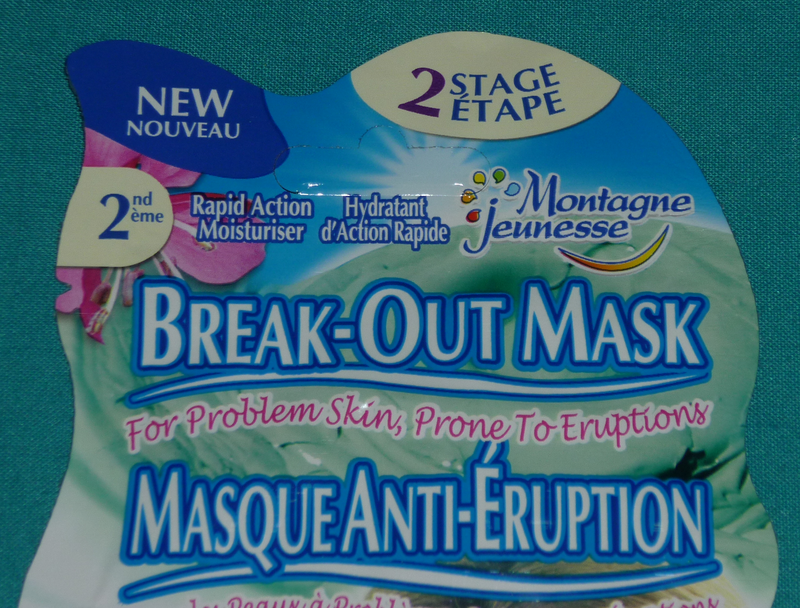 Welcome to Part 1 of 5 in my Montagne Jeunesse Skin Heroes series! As mentioned in my previous post, I received the new Skin Heroes range from Montagne Jeunesse to review on my blog. In this post I will be reviewing the Break-Out Mask. 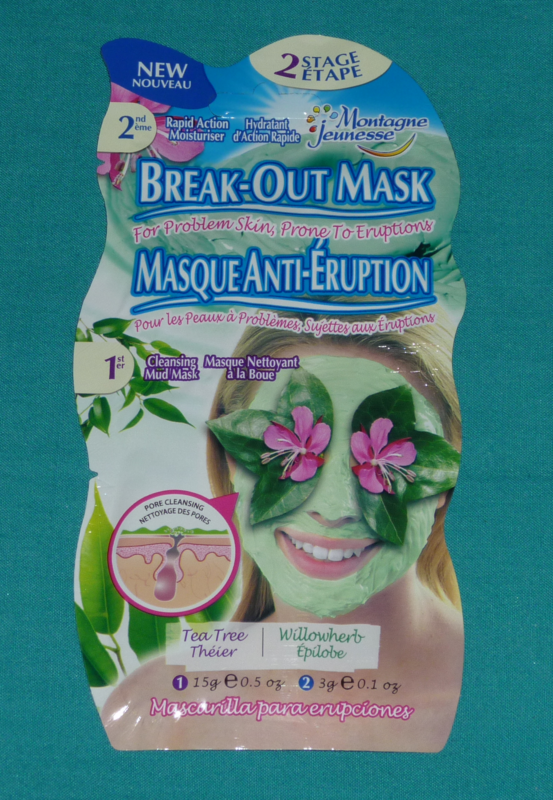 The Break-Out Mask is for "problem skin prone to eruptions". I felt like I was getting a few hormonal spots so I thought this mask would be the ideal one to try first. 4 of the 5 products in the Skin Heroes range are masks. 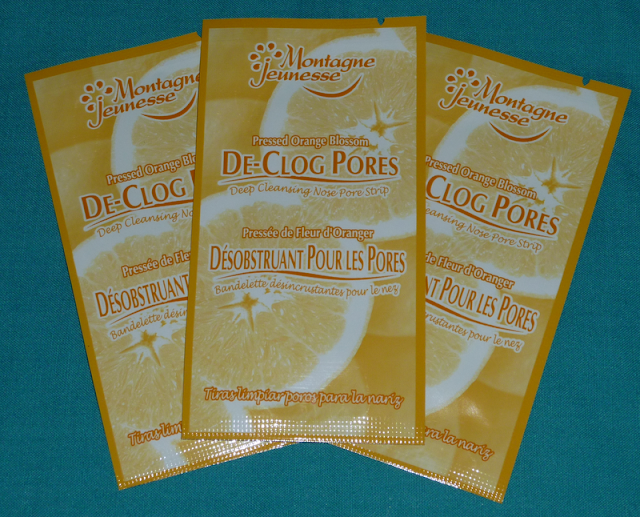 They are different from the regular Montagne Jeunesse masks as they contain two stages. The first stage (the bottom of the packet) is a mask and the second stage (the top of the packet) is a moisturiser/serum. I think this is a fab idea as it's always best to apply a moisturiser straight after using a mask so it's good to have one with complementary ingredients to the mask to ensure you get the full treatment for your skin requirements. 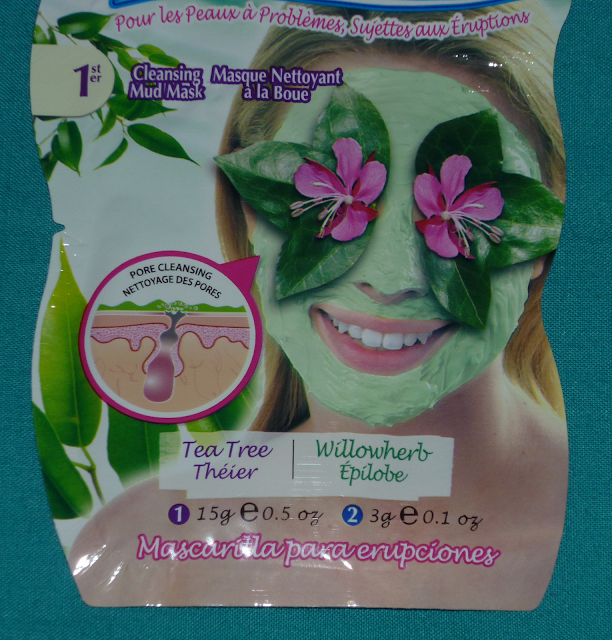 Firstly, you’ll need to flush out those blocked pores with this mud mask fusion of calming Tea Tree & soothing Canadian Willowherb™. Let Witch Hazel’s natural powers help calm skin. 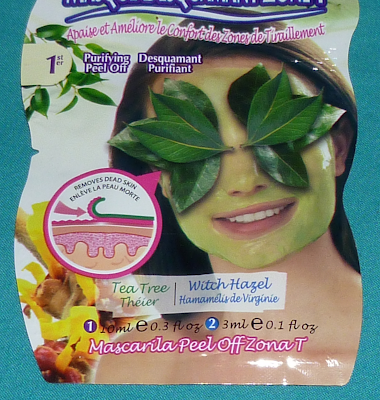 This is a thick but smooth, light green mask that is easy to apply to the skin. You need to leave it on for about 15 to 20 minutes before washing off. During this time the mask dries out and starts to feel tight on the skin. I like this as it feels like the product is working! The product has a strong tea tree/lavender scent which I find quite refreshing. It definitely smells like there are some good ingredients that will help improve the skin. 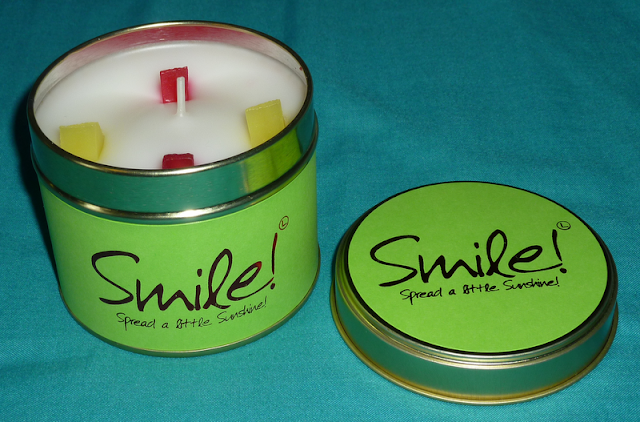 I love it when products smell more natural rather than chemical/medicinal! 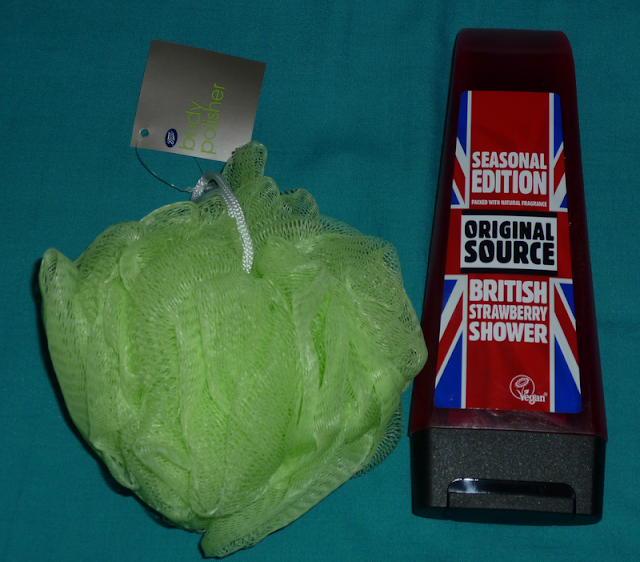 Secondly, follow on with this super moisturiser of tantalising Tea Tree & calming Canadian Willowherb™. Allow Mother Nature to work her magic to tackle those problem areas. 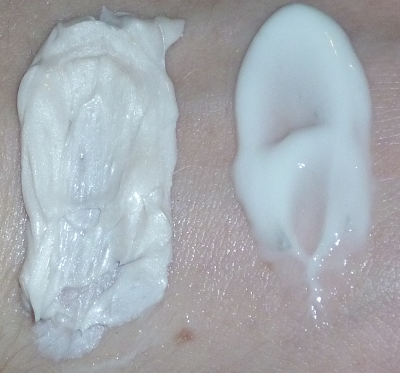 The moisturiser is a fairly thick white lotion that has a fresh minty scent on application. After using both stages of the Break-Out Mask my skin was left feeling clean, soft and radiant. It also soothed my skin and stopped the swelling under my skin from turning into spots. I'm definitely impressed with this mask and I'm looking forward to trying the rest of the range. The mask retails at £1.49 and contains a good amount for one treatment. I even had some left over! This mask along with the rest of the Skin Heroes range is available now at Asda and on the Montagne Jeunesse website. Hope you enjoyed this review :) Watch out for Part 2 coming soon! 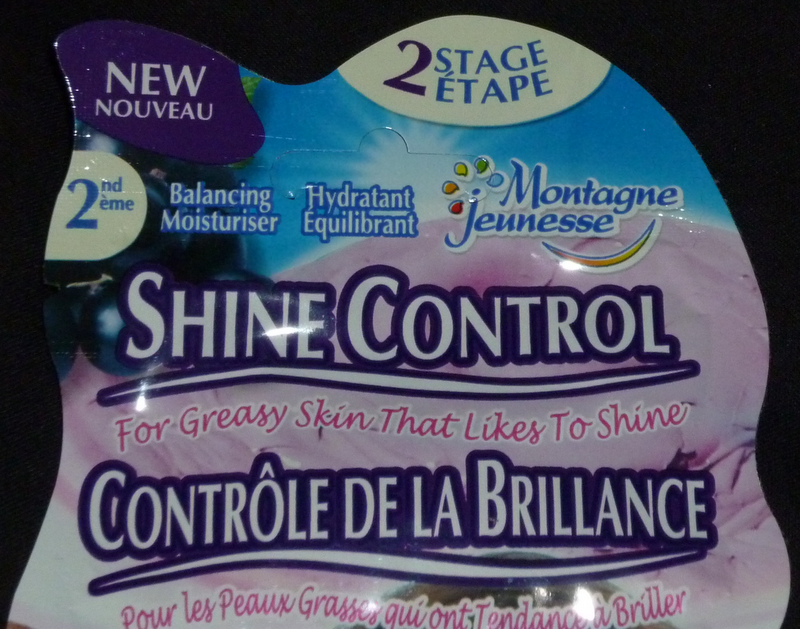 Also let me know below if you have tried Montagne Jeunesse and what your favourite products are. I personally love the Strawberry Souffle mask and have repurchased it sooo many times! I thought I'd let you know about a series of posts I have coming up in the next week. Montagne Jeunesse have a new range of masks and nose pore strips called the Skin Heroes range which they have kindly sent to be reviewed on my blog. 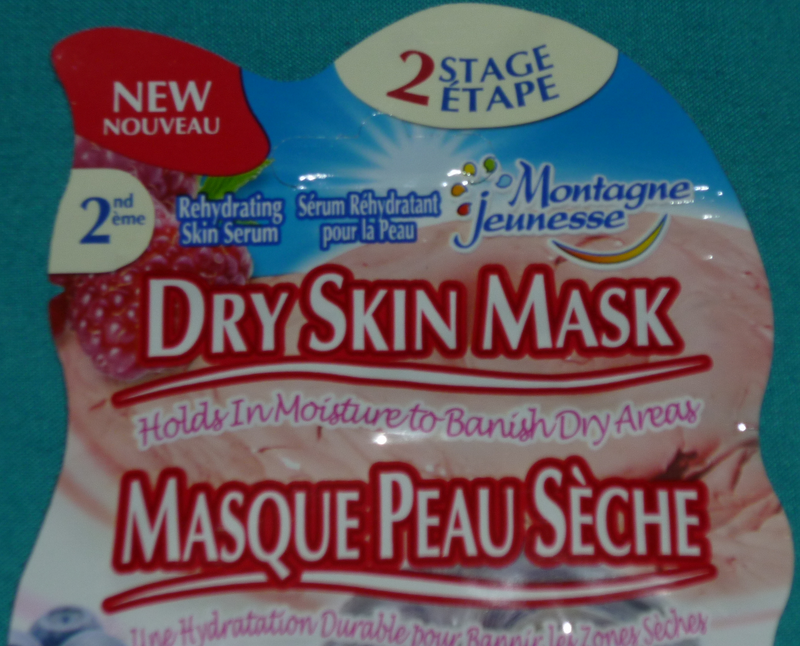 I'm really happy I've been sent these products as I absolutely love using Montagne Jeunesse masks, I always buy them as they are such a great price and I always notice a difference in my skin after using them. Montagne Jeunesse's products are suitable for vegetarians and they always look to use natural ingredients. The Skin Heroes range is available now from Asda and the Montagne Jeunesse website. 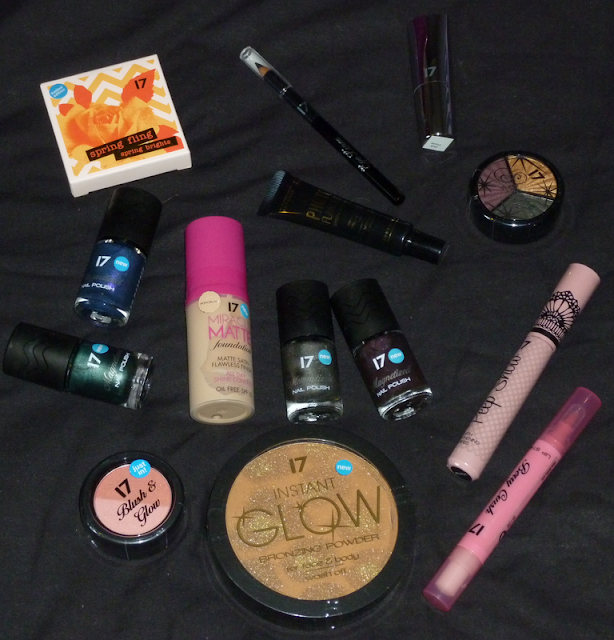 I will be reviewing each of these products separately so watch out for those coming up very soon!